Information : Doukyonin wa Hiza, Tokidoki, Atama no Ue. 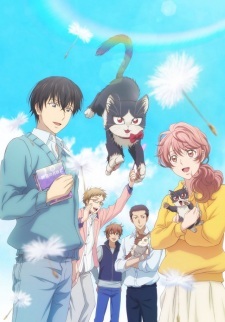 Synopsis Novelist Subaru Mikazuki, who is shy and not good with other people, and Haru, the cat that has been living a severe stray life. This is a story of them suddenly living together and describes the happiness of living together from both point of views.